Below you can view all the homes for sale in the Hamlin Plantation subdivision located in Mount Pleasant South Carolina. 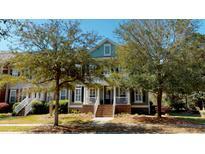 Listings in Hamlin Plantation are updated daily from data we receive from the Charleston multiple listing service. To learn more about any of these homes or to receive custom notifications when a new property is listed for sale in Hamlin Plantation, give us a call at 843-306-2224. ** The Separate Dining Room features Wainscoting, Built-in Shelving, and an Adjacent Flex Space that is Perfect as an Office or Sitting Room ** The Large Family Room boasts a Ceiling Fan, a Gorgeous Fireplace Surrounded by Built-in Shelves, and a Surround Sound that also Plays on the Back Porch ** Entertaining Guests is Effortless from this Home's MLS#19010894. Keller Williams Realty Charleston. Enjoy all the amenities and clubhouse that the neighborhood offers. Come see this home today! MLS#19010363. Keller Williams Realty Charleston. The gourmet kitchen features double ovens, stainless steel appliances, five burner gas top on the center island, granite countertops with under mount cabinet lighting, and a spacious eat-in area with plenty of storage. MLS#19010167. Carolina Elite Real Estate. Walking trails in an active, family-friendly neighborhood. MLS#19010085. Carolina One Real Estate. In the den, there is a fireplace, MLS#19009404. Carolina One Real Estate. This home is featured in the new design book The DIY Style Finder! MLS#19009236. Agentowned Preferred Group In. This credit is in addition to any negotiated seller concessions. MLS#19008857. Carolina One Real Estate. This functional floorplan features tons of storage within the home and in the massive garage space which owners currently use as a in home gym. MLS#19008462. Agentowned Preferred Group. Detached two car garage & a 3rd parking spot. MLS#19007566. Era Wilder Realty Inc. Enjoy the wildlife/pond from your screened in back porch. MLS#19007434. Carolina One Real Estate. have 2 different storage closets outside, a huge storage closet under the steps inside & a pull down attic, giving this house a lot of storage. Amazing community amenities include pool.. MLS#19006360. Carolina One Real Estate. Spacious 2 car garage with extra room for storage. MLS#19005242. The Boulevard Company, Llc. Third floor renovation makes a perfect (and private!) 6th bedroom. MLS#19005162. Carolina One Real Estate. Second floor features an impressive master suite with his and her walk-in closets with dual vanities and over size shower and separate tube. MLS#19005228. Agentowned Preferred Group. The home sits on a large MLS#19005167. The Boulevard Company, Llc. Continuing to the right the open concept includes: the formal dining room with medallion lighting, a kitchen with large pantry, upgraded cabinetry, eight foot center granite island with over sized sink and seating for four bar stools, refrigerator MLS#19003734. Carolina One Real Estate. The laundry room is on the first floor and has custom cabinetry & shelving. MLS#19003719. Carolina One Real Estate. Quiet Street to enjoy. Easy to show MLS#18032018. Gramling Brothers Real Estate. The master bedroom features dual walk-in closets and MLS#18031500. Lifetree Real Estate, Llc. Hamlin Plantation amenities including swimming pool, clubhouse, and workout facility. MLS#18024373. Keller Williams Realty Charleston. It is also on a very quiet secluded cul-de-sac in the desirable Sound section of Hamlin.Plans and specifications subject to change without notice.Please call for more information MLS#18017000. The Boulevard Company, Llc.